Visual Composer page builder is a perfect Front End and Back End WordPress Page Editor, which allows creating stunning and fantastic pages with easy-to-use drag and drop builder. Its major advantage is that you don't need any programming or coding skills. With Visual Composer interface you will be able to build web-pages and page layouts within couple of minutes. 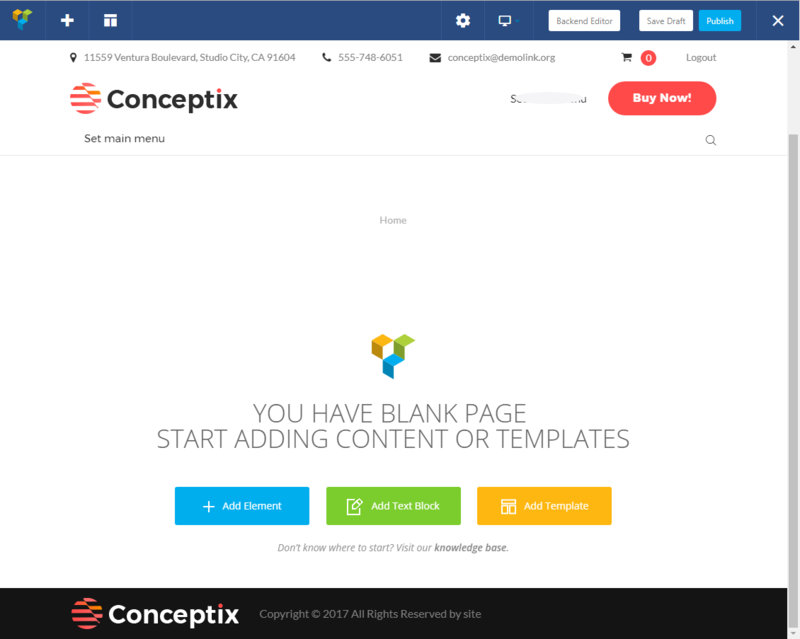 Visual Composer contains over 50 content elements, templates and addons. It is equipped with impressive built-in skin builder, which lets to customize Visual Composer design options and elements styling, to make a perfect match with your brand identity. This page builder has an option to add premium class templates via online Template Library and comes with with advanced grid builder allowing to display posts, portfolio, and any other custom posts type or media in grid or masonry grid. Detailed Visual Composer page builder documentation can be found here.